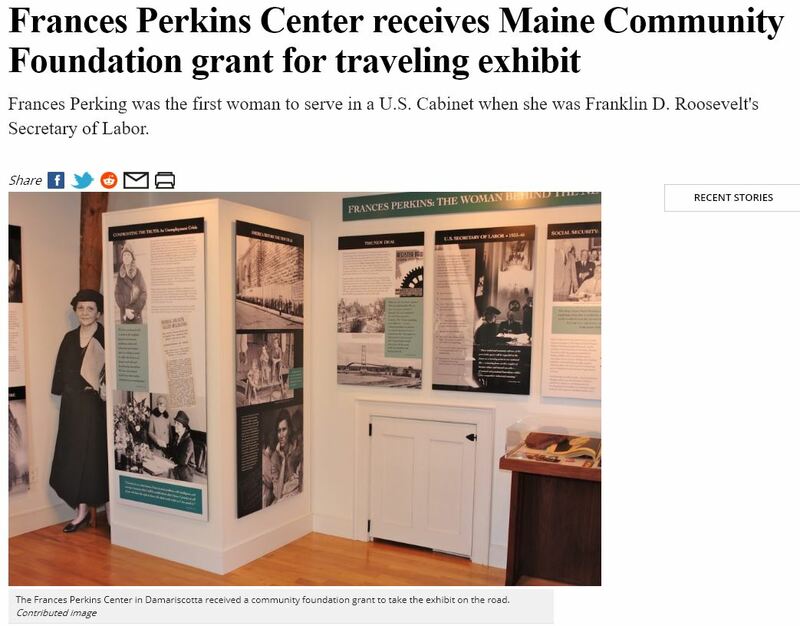 The Frances Perkins Center has received a $4,276 grant from the Lincoln County Fund of the Maine Community Foundation to launch the Frances Perkins Traveling Exhibit. The exhibit will include five pull-up panels interpreting Perkins’ life and legacy, as well as a video featuring work from prominent scholars. The curriculum targets middle and high school students. Perkins, who was the first woman to serve in a U.S. Cabinet, had deep roots in Maine. During her time as Franklin D. Roosevelt’s Secretary of Labor, she regularly returned to her family estate in Newcastle. Founded in 2008, the Frances Perkins Center preserves and continues Perkins’ legacy. The Center works with historians, biographers, and other scholars to educate the public about Perkins’ life and achievements. It also brings together leaders of today and tomorrow to examine modern public policy questions through the lens of Perkin’s own experiences and values. 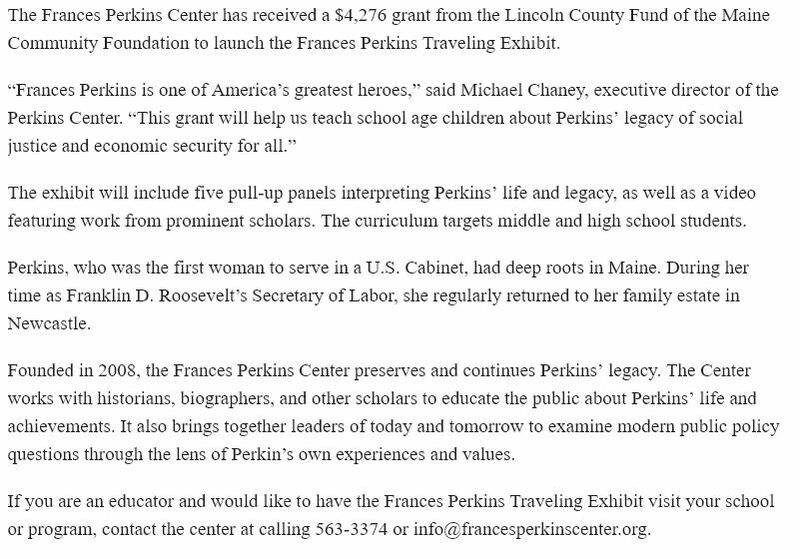 If you are an educator and would like to have the Frances Perkins Traveling Exhibit visit your school or program, contact the center at calling 563-3374 or info@francesperkinscenter.org.